National Leader of the All Progressives Congress (APC) and former governor of Lagos State, Bola Tinubu, has said Nigerians should not condemn but listen and understand the agitations by the Indigenous People of Biafra (IPOB). He said this while delivering the Keynote speech at the 2017 Annual Dinner of the King’s College Old Boys’ Association (KCOBA) at King’s College, Lagos. The APC leader, who said the cry for separation had gained traction among average people due to the chronic failure of government to meet basic aspirations, however, warned against any attempt to split the country. 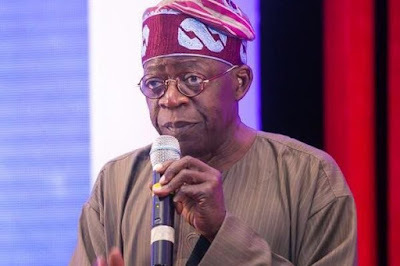 Tinubu noted that gargantuan challenges were facing the country but explained that they were not enough to call for the dismantling of the federation at a time some parts of the world were taking advantage of integration. He said: “It is a rather curious lapse that a nation with such diversity as ours has not taken the time to give our legal marriage its proper functional underpinning. In other words, we all lined up to call ourselves Nigerian without gathering to discuss what it meant. "Thus, we inhabit a nation that has not sufficiently defined its governance. We may be defined by political borders and boundaries but we have not glued ourselves to collective purpose and vision. Too many of us are born in Nigeria but not of it. “Thus, our society is not a collective enterprise as important to each of us as our own personal endeavor. It is but a platform, an arena, to claim whatever one can by whatever means available. In too many ways we resemble a wrestling match instead of the nation we were ‎meant to become. “Thus, we argue over matters that long ago should have been settled. The longer such fundamental questions fester, the more extreme become the proposed answers. “Thus, we have people clamoring for secession in one part of the country and the murmur of such a course grows stronger in other sections. “These other areas resent that some have advocated secession. Blame and recrimination become the political currency. Statesmanship falls in short supply. The dominant urge is to confront instead of reconcile. It would be wrong to mistake this for a tempest in a teapot. If not careful, we may be tossed about like a teapot in a tempest. “We must listen to what is being said so that we can determine what is really meant. “Let us be frank. Many who cry separation do so because their personal ambitions will be better served by such a thing. They believe they will have greater chance at political power under a different arrangement. Yet the cry for separation has gained traction among average people; this is due to the chronic failure of government to meet basic aspirations. "Our task is not to condemn but to listen and understand. I care not at all for this proposed solution. But I dare not discount the concerns and problems that have led many people into advocating such a thing. “Here, I want to plainly state my position. I am a firm believer in Nigeria. I believe this land will become a great nation and a leader among other African nations. We can resolve our dysfunctions in a manner that will make this nation rise as a standard of decency, justice and prosperity for all Nigerians. “So many excellent people have devoted themselves, even given their very lives, to give life to this nation. I dare not cast aside their hardy and brave work as if it were nothing. Many things we now enjoy and see as good are due to these people. We have benefited from their labor and sacrifice. "Being more pragmatic, separating the nation into small pieces resolves nothing and creates additional problems. The world marches toward integration. Europe, America, Asia seek trade and commercial pacts that will make them more integrated markets. Notwithstanding Brexit, the EU grows more integrated in the functions of governance by the day. Thus, while nations more powerful and developed than us seek to pool their wealth and might, some of us seek to whittle this nation into smaller pieces. “Such a thing would make us more vulnerable to outside influences. We would forfeit our rightful place on the world stage and as a leader of this continent. "Moreover, not every split solves a problem. The political mentality, either good or bad, that defined a group before the split will remain after the divide. If one is imbued with factionalism, that perspective will remain even when the immediate problem is surmounted. Division will manifest differently, but manifest it will. “A new factional bigotry will arise to replace the old. The cycle of tension and unrest will take its inexorable toll. Just ask the people of South Sudan if their woes ended when they left Sudan. “When your heart is geared toward division, you will seek it within a single tribe, even a single family. The gossamer of ethnic unity will be ripped apart by sub-ethnic squabble. An angry man outside his home remains angry inside it as well and a thief steals from both stranger and friend. "Driven by such a mentality, even someone you once called your brother becomes a nuisance, then a burden, and ultimately your enemy in short order. “Thus, I oppose talk of break-up and all other exotic political arrangements tantamount to it. That I am a foe of disunity does not mean I have blinded myself to the truth that our nation is in need of great repair. “We all see the nation for what it is. Some look further to see the nation for what it is not and they rush to condemn it.